On 1/16/18 at 4:12pm, Rye Police and Fire Departments were dispatched to 31 Parsons Rd for a motor vehicle crash into a building with injury. 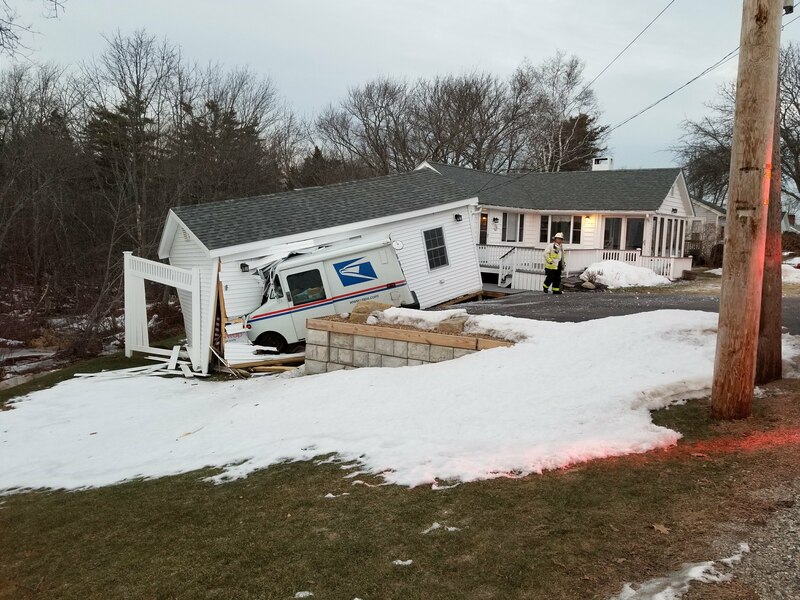 The initial investigation revealed that a mail truck driver suffered a medical emergency, lost control and crashed into a large detached shed. The driver was transported by Rye Ambulance to Portsmouth Regional Hospital with minor injuries. The Rye Building Inspector also responded to the scene. National Wrecker responded and recovered the mail truck in what was a difficult operation.